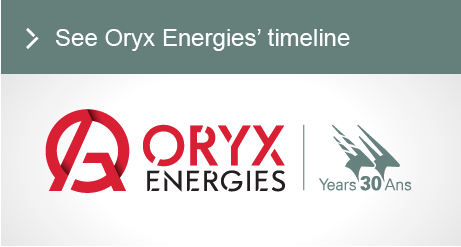 Founded in December 1987 by Swiss entrepreneur Jean Claude Gandur, Oryx Energies is celebrating its 30th anniversary. Starting in oil trading in West Africa, we were quick to understand that without energy there can be no development. As a result, it was important to take products directly to the end users (consumers and businesses).. The logistics and technical expertise to professionally transport, stock, produce, fill and deliver the different products, including on-site management services for companies and industries. Today, with around 1,400 employees in over 20 countries, we have become one of the largest and longest-established independent providers of oil and gas products and services in sub-Saharan Africa. From consumers to mining companies, hotels and restaurants, we have been contributing to economic development in the region for 30 years. We thank the hundreds of men and women who have dedicated their energy and talent to our success and acknowledge the valuable relationships with our clients, partners and other stakeholders as the company has developed. We look forward to continuing to respond to the energy needs of sub-Saharan Africa.